Albertsons Monopoly has been back for a few weeks and folks are already looking to trade rare and semi-rare game pieces for a chance to win $1 million. There are a number of other large prizes to be had this year as well. While collecting the pieces while you shop is traditionally how people have won, you can also trade your game pieces to better your chances at winning. Here is how (and where) you can safely trade Monopoly pieces. Of course, there is the “traditional” way of winning the Monopoly game. The traditional way includes shopping at the company’s stores and collecting pieces as you go. You buy certain products (marked on the shelves) and when you go to checkout, you receive your Monopoly pieces. You can also receive Monopoly pieces in the mail. You can send a pre-addressed envelope and receive two pieces through the United States Postal Service. 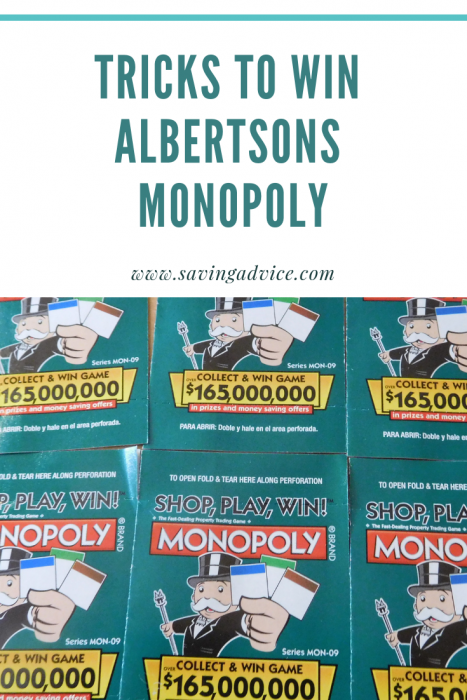 In theory, you could get two Monopoly pieces for less time, effort (and potentially less money) by getting the Monopoly game pieces the traditional way by just buying a few cheap items in an Albertsons-owned store. Another way you can get pieces is to trade online. Many websites have opened forums for trading Monopoly pieces. Many people have also started comment trading underneath articles which cover the Albertsons Monopoly Game. However, there are a few people out there trying to scam you through the Albertsons Monopoly Game. There are a few ways you can be scammed when trading Monopoly pieces. You can always get conned out of a very valuable piece if someone promises you money. You can also be conned out of money (people who want upfront payment for rare pieces). Chances are, if someone is offering you a rare game piece, it may be a scam. 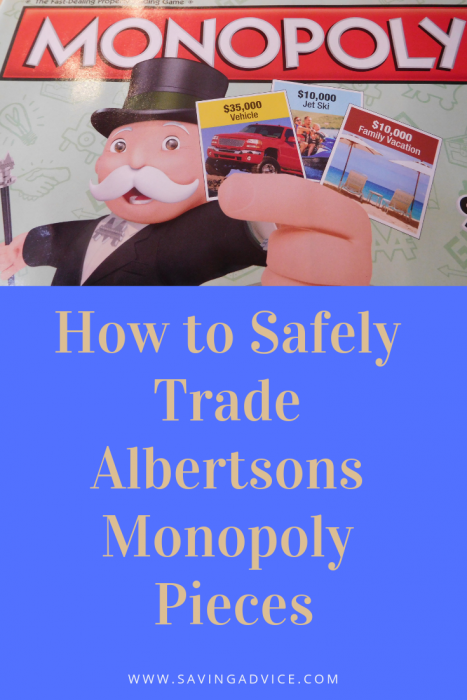 There are a few ways you can guard yourself against the scams that surround the Albertsons Monopoly Game. First, make sure that when you are trading with someone they can provide you a legitimate email address. You should also be sure that they can provide a telephone number. If you are trading pieces, and even possibly money, with the person, they should be willing to give you that information. Also, make sure that you are trading on a reputable website or forum. 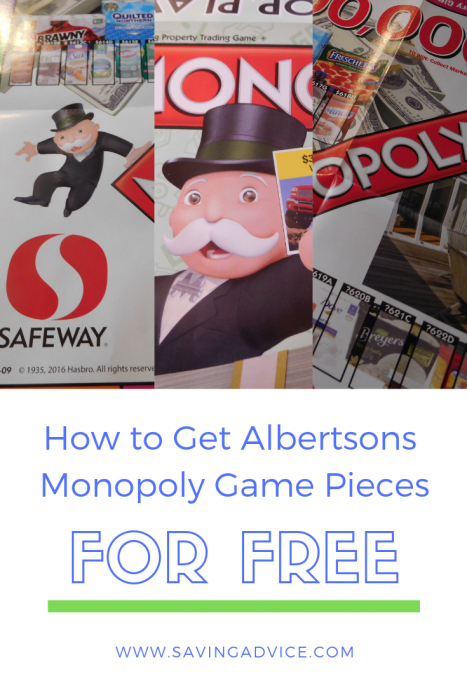 There are forums that are made specifically for trading Albertsons Monopoly game pieces. You can also find articles about the Monopoly Game that have open commenting about trading pieces with others on the website. Keep in mind that if someone is offering up a rare game piece that it is more than likely a scam. Another place you can safely trade Monopoly pieces is our very own Saving Advice forums. We have an Albertsons thread dedicated to folks interested in trading their game pieces. Join in on the discussion. If you run into someone that you believe is trying to pull over a scam on Monopoly game piece traders, alert the site’s administrator as soon as possible. By alerting the administrator, you can prevent both yourself and others from losing money (and possibly losing prizes) because of someone else’s selfish desires. When you are looking to trade or buy Monopoly game pieces, keep these things in mind (especially if you are trading large amounts of money or valuable pieces). What Services Does the Kroger Money Center Offer? Kroger is a popular destination for grocery shoppers. Plus, many of the locations offer additional services. This includes access to the Kroger Money Center. But, if you are going to use the Kroger Money Services counters, it is important to know whether you can complete the kind of transaction you need. That way, you don’t make an unnecessary trip. The Kroger Money Services department offers customers a variety of services. This makes Kroger more of a one-stop destination for people who need groceries and want to perform certain money-related tasks. However, Kroger may have a smaller selection of money services than some other possible destinations in your area. So making sure you can do what you need to is essential, especially if you are under a time constraint. Here’s a look at the Kroger Money Center service offerings. If you want to send friends or family members money, the Kroger Money Services department makes it easy. They partner with Western Union, one of the largest companies for sending money around the country and even the world. Before you head to the Kroger Money Center, make sure you have the name and location of the recipient. You also need to know the amount you want to send. You can choose several options for how the person can receive the funds. 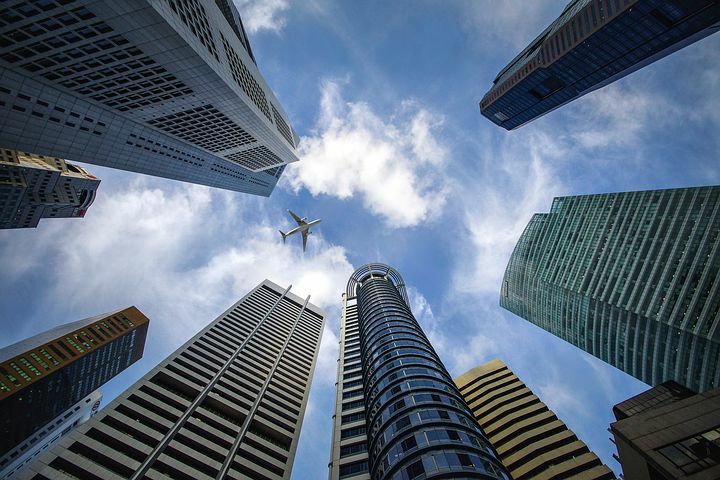 These include whether you would like it deposited into a qualifying bank account, and decide when it needs to arrive (such as immediately or the next day). Just make sure to bring additional money to cover the fee and a government-issued picture ID. Picking up money is also a breeze at Kroger. The recipient simply needs the tracking number and a picture ID. At the Kroger Money Services department, you can pay bills from over 15,000 billers all in one place. Utilities, cell phones, auto loans, and mortgages are just some of the bills that you can pay at Kroger. In fact, if you need to pay a utility bill immediately to avoid a shut-off or late fee, a payment at Kroger processes that same day. Many billers also give customers confirmation numbers that work as proof of payment, giving you documentation to back up the fact that you paid your bill. The fees for the bill pay service are very competitive as well, so you won’t overpay for the convenience. Just make sure to bring a copy of your bill stub (that shows your account number) with you to make sure the payment is sent properly. If you need a fast, secure, and convenient way to send payments, then getting a Western Union money order at Kroger is a great option. The process is simple and reliable, and Kroger’s fees are very competitive. In order to get a money order, you’ll need to bring cash to cover the amount and the fee. Then, fill out the money order form and present a government-issued picture ID to get your money order. Kroger will also cash money orders for a fee. You’ll need a government-issued picture ID to get your money, which you can receive in cash or on a prepaid card. Kroger Money Services offers check cashing services to their customers. All you need is a qualifying, valid picture ID and your Social Security Number (or Taxpayer Identification Number), and you are set. There is no enrollment process, so the check cashing experience is a quick one. 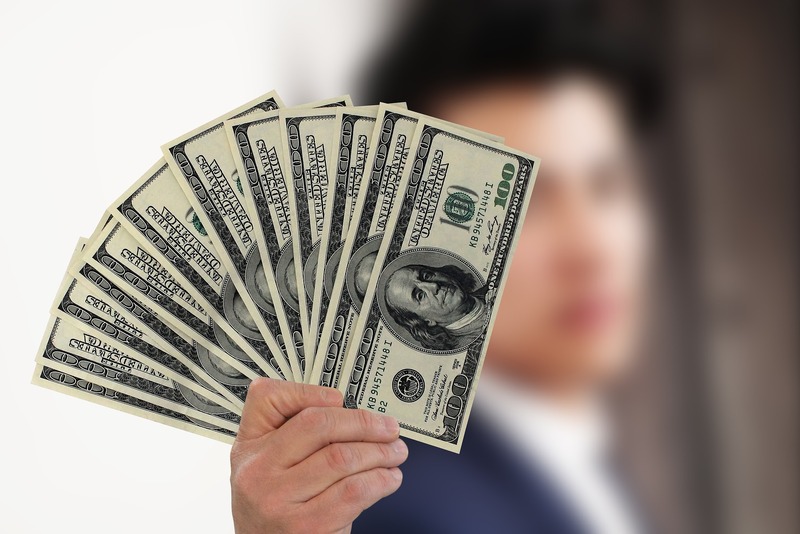 You also get cash right away, so you do not have to worry about processing times or holds. The fees for check cashing are fairly low, and customers with Shopper’s Cards often receive discounts, making it more affordable. Plus, it is incredibly convenient if you shop at Kroger regularly as you don’t have to head somewhere else to cash your check. It is important to note that you can’t cash every kind of check at Kroger. They cash payroll, government, income tax refund, insurance settlement checks as well as checks for businesses. You typically cannot cash personal checks from individuals at the Kroger Money Center. Having a lot of loose change is a hassle. Luckily, by taking it to a Coinstar machine in the Kroger Money Center, you can get it turned into something more convenient. You get the choice of receiving bills back or a gift card. At times, by selecting certain gift cards, the fee may even be waived, though there is no guarantee this will be available. But, if spending the change is more cumbersome than you would like to deal with, even with the fee, it can be a great option. If you have unused gift cards just hanging around in your wallet, then the Kroger Money Services department can help. Just come in and use one of the Cardpool kiosks. The Cardpool terminals allow you to turn in unused gift cards, including digital ones, and receive cash in return. You get up to 92 percent of the gift cards value, though the exact amount varies depending on the retailer associated with the gift card. Even though there is a fee, it may be worth paying if the gift card is otherwise going to go to waste. Plus, you get to review the offer before receiving your cash, so you can always decline it and keep the gift card if you feel the fee is too high. When is Kroger Money Services Open? The Kroger Money Center usually has the same operating hours as the grocery store, which can vary by location. In general, Kroger Money Services is open starting at either 7:00 am or 8:00 am, and they typically close at 10:00 pm. However, if your Kroger is a 24-hour store, the money center will not be able during the whole 24 hours. Instead, they will operate based on a schedule that is similar to the one above. 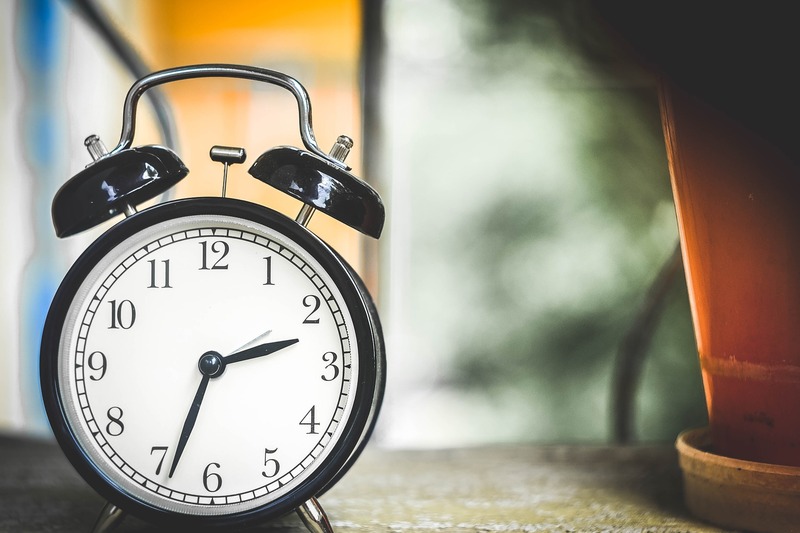 If you need to head to the Kroger Money Center early in the morning or late at night, it is usually wise to check with your local store to confirm when they are open. That way, you don’t end up making a trip only to discover that the money services department is closed at that time. Do you use the Kroger Money Center? Tell us about your experience in the comments below.